When users are using their Android phones, they may encounter Android Black Screen of Death issue. In this situation, the Android phone’s screen is shown as black, and users can’t use the Android device as usual. Why does this issue happen? There are some possible causes, such as an incompatible APP, too many caches of applications, old battery, APPs with bugs and virus, long time charging when the device is fully charged, and so forth. The reasons for Android Black Screen of Death issue are various, so the solutions are different. But, to keep the files on the Android phone safe, users need to recover them from the device before they fix black screen on Android phone. MiniTool Mobile Recovery for Android is such a tool which is specially designed to recover Android files. 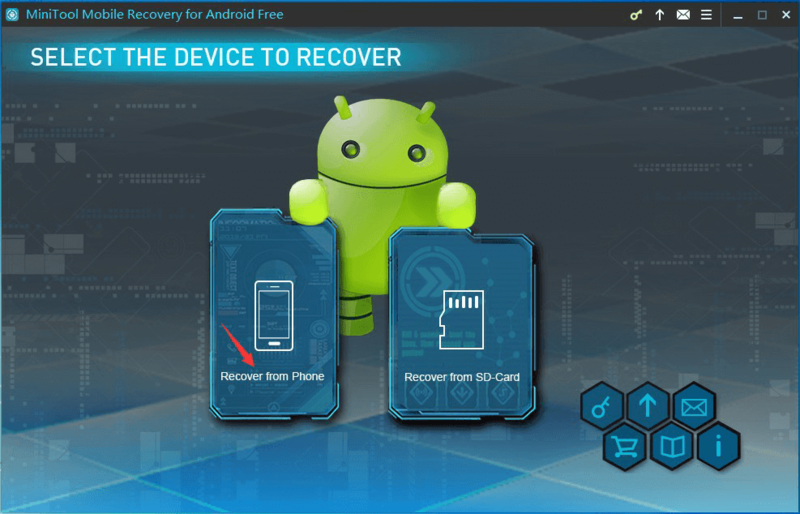 It has two recovery modules: Recover from Phone and Recover from SD-Card. With them, users can recover different kinds of Android files like photos, videos, contacts, music files, messages, Word documents, and more. 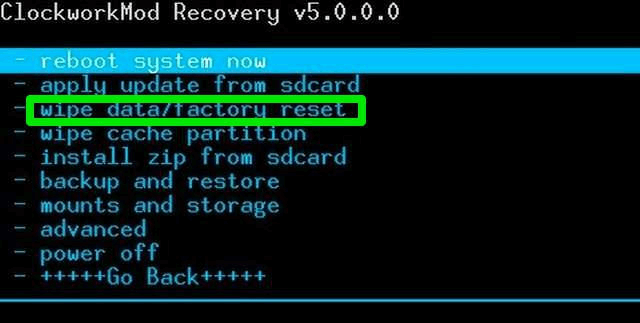 Recover from Phone is the module users can recover data from the phone with Android black screen boot. Before recovery, users should make sure that the Android phone is rooted and the USB debugging is enabled. Also, users should close any other Android management software when using this MiniTool software to recover files from the phone with Android screen keeps going black issue. 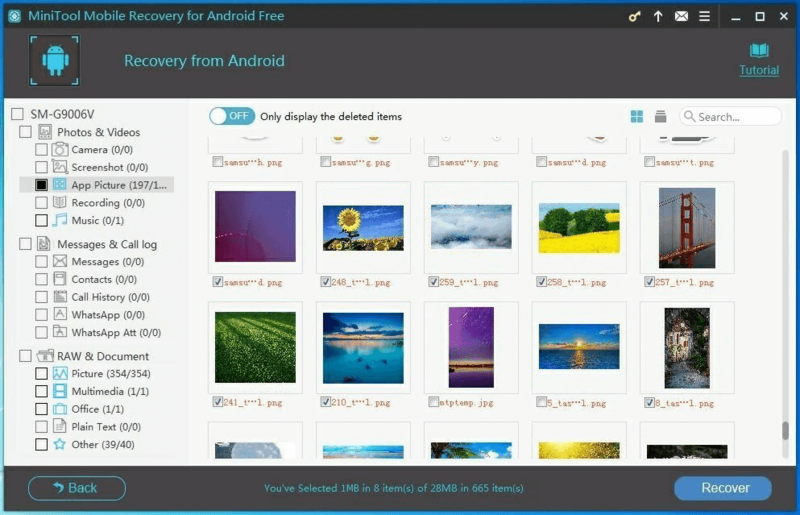 Users can download MiniTool Mobile Recovery for Android Free Edition on the computer to have a try, and this freeware allows them to recover 10 files of one type each time. After installing this software on the computer, users need to connect the Android device to the computer via USB cable and open the software to enter the main interface. Then, users need to click on Recover from Phone module on the interface. The software will begin to identify the Android device. Then, users can see the following interface where users need to select a proper scan mode. To scan the text files only, users can check Quick Scan. 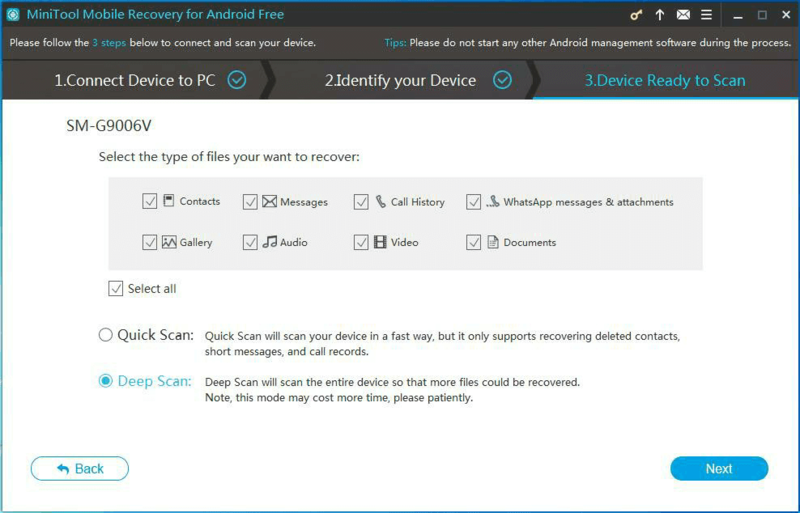 To recover all files on the Android phone, users need to check Deep Scan. Then, click on the Next button to scan the Android device. Some minutes later, users will enter the scan result interface when the scanning process finishes. The left side of this interface is the data type list. Users can choose one data type from the list, and then the software will show the scanned files of that type. Then, users can check the files they want to recover and click on Recover button to select a path on the computer to save these selected files. If users want to recover more than 10 files at one time, they can use the advanced edition of MiniTool Mobile Recovery for Android. After recovering files from the phone with Android black screen boot, users can feel free to fix this issue. This is users’ first choice. 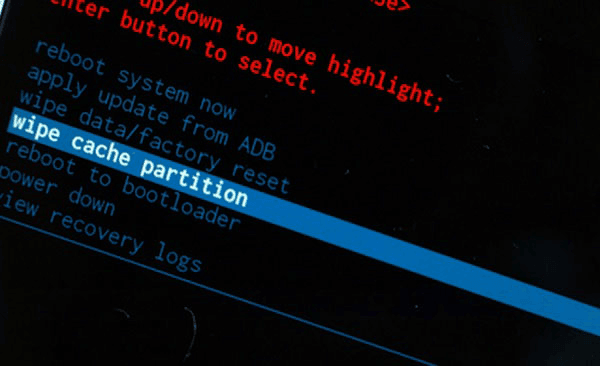 To wipe cache partition, users need to enter the Recovery Mode. Different phones have different ways to enter Recovery Mode. Users can search one way on the internet according to their situation. 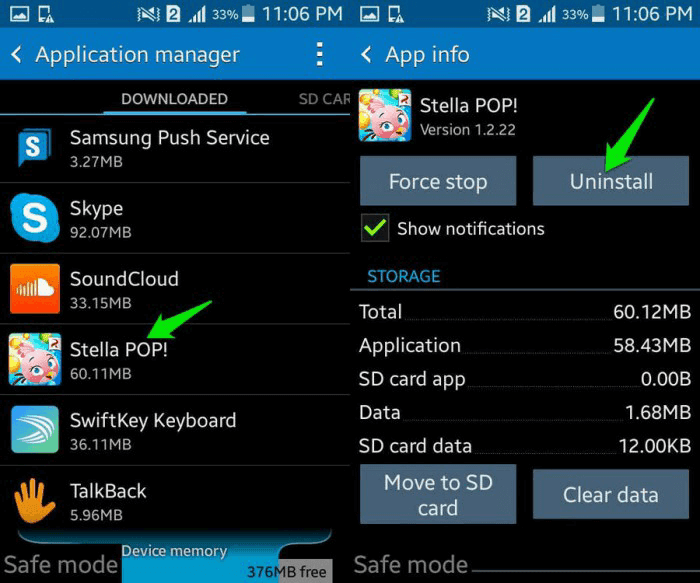 In Recovery Mode, users can see wipe cache partition option. Just select it to make it work. A new downloaded APP which is incompatible with the Android phone can also cause Android screen keeps going black issue. In this situation, users need to enter the Safe Mode to uninstall that APP. Factory reset on an Android phone can solve a lot of issues. So, users can restore the Android phone to factory setting to make the device go back to the normal state. Still, users need to enter the Recovery Mode, then choose wipe data/factory reset option and make it work. If users don’t know the exact cause of this Android Black Screen of Death issue, they can try these three ways one by one.